This page contains a single entry by csoltis published on February 3, 2013 6:04 PM. VOODOO: 3 Year: Acid Pauli, Eduardo Castillo. Dec 15, 2012 was the previous entry in this blog. 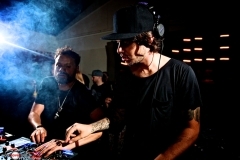 ANIMAL CLUB: Voices of Black, Alex Villalobos, Ed Gold. Feb 23, 2013 is the next entry in this blog.